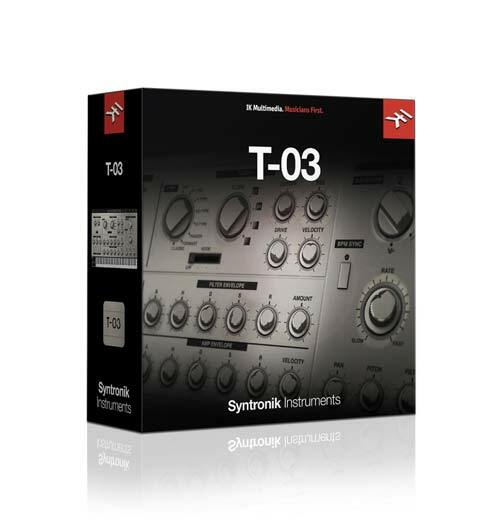 Syntronik’s T-03 recreates the Roland TB-303 bass line, also known as the "Silver Box", "Acid Dream Machine", or more simply "the 303". 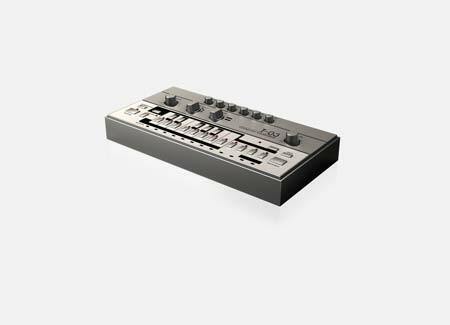 Manufactured from 1982—1984, this odd little synthesizer box with a 16-step sequencer started out as to be an accompaniment machine along with its partner product, the TR-606 drum machine. But in the late 80s, electronic dance music artists and DJs embraced the rather inflexible and somewhat quirky sound as a staple of what would become the EDM movement. A single oscillator switchable between saw and square wave with a fixed 50% pulse width goes into a 4-pole low pass filter with adjustable resonance. A single Decay knob and Envelope Amount are the extent of the modulation capabilities, but these are enough to give the machine a lively animation that makes it instantly recognizable. From Prodigy's "Fat Of The Land", to Fatboy Slim's "Everybody needs a 303", this little machine has been featured on some of the most iconic anthems of the late 80’s/early 90’s electro, underground and house scene. Notable users were Future Sound of London, Massive Attack, Orbital, Eat Static, Fatboy Slim, Überzone, Moby, Underworld, The Prodigy, Jimmy Edgar, Union Jack, Front Line Assembly, Pet Shop Boys, Freddy Fresh, Luke Vibert, Chemical Brothers, Aphex Twin, Astral Projection and many more.